Congratulation to Tr Thoai on receiving National Award! 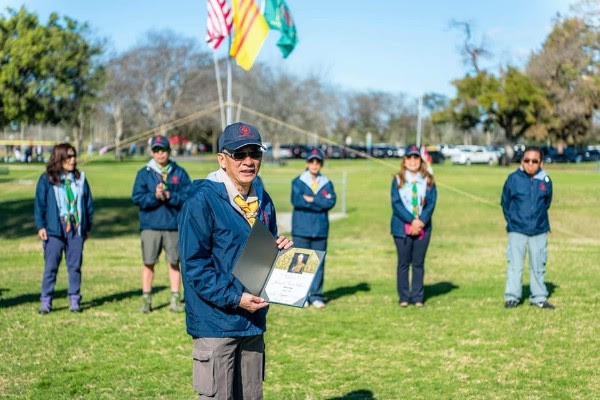 The Scout Leader of Pack, Troop and Crew 980, Steve Luu was recognized as the newest James E. West member last month. Luu was honored for his leadership in the council’s nationally recognized unit. District and Unit Commissioner Tung Nguyen presented him with the award. For more information on becoming a James E. West member or to honor a deserving Scouter, Eagle Scout, family member or friend, please contact Devon Dougherty.